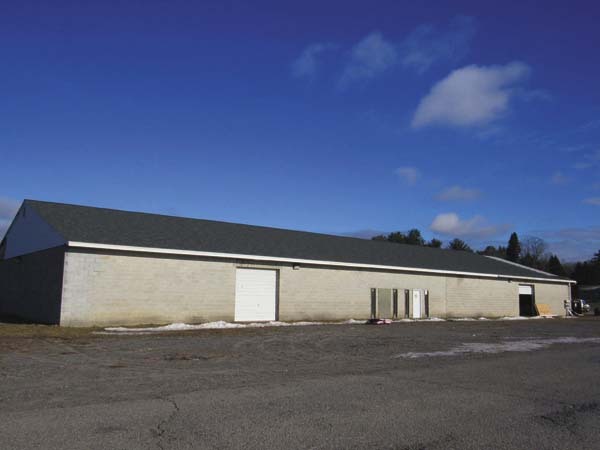 GLOVERSVILLE — The city Planning Board on Tuesday tabled action on a special permit application for a proposed self storage business in an existing building on Harrison Street on the recommendation of the city attorney due to outstanding questions on ownership of the property. Darrin Romeyn of DM Romeyn Civil Engineering Design, PLLC presented plans in December for a self storage business in a vacant block building on Harrison Street, requesting a special permit on behalf of property owner Beth Potter. There are two buildings on the property, the one closest to the road is occupied by Fastenal, a fastener supplier located at 164 Harrison St. The building proposed for the self storage business abuts the Fastenal building and faces an access road that leads back to the former Potter Industries building that was purchased by the Asante Sign Group earlier this year. Initial plans called for storage units to be installed in just under half of the 9,517 square foot Harrison Street building, but the plans were updated ahead of Tuesday’s meeting to utilize the entire space to install 66 units in the building ranging in size from eight feet by five feet to 10 feet by 10 feet. Revisions to use the entire building were made after engineer Steven Smith, also the city’s councilman-at-large, came up with a solution to address the board’s concerns over the structural integrity of the block building by installing beams at regular intervals through the center of the building to reinforce the roof supports. 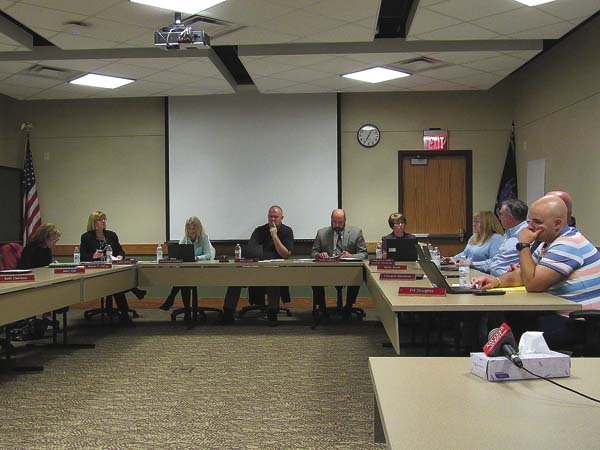 The board raised several concerns in December over the condition of the building, noting that for several years the building had a tarp roof and various materials had been stored along the exterior of the building for a number of years, including pallets that were leaned up against the walls, that could have caused damage to the block walls or weakened the overall structure as it was more directly exposed to rainwater and the elements. The board also pointed to another block building that previously stood on the property that suffered from serious structural issues. That building no longer exists. In addition to the beam support system, Smith’s plan calls for the installation of braces on the walls throughout the perimeter of the building connected to trusses supporting the building’s roof to stabilize the block walls and in December Romeyn reported that the roof was in the process of being replaced. The special permit application also notes that the bottom blocks of the building will be inspected by contractors, with mortar joints between blocks to be repaired or replaced as needed and the blocks are to receive a coat of sealant if their surface appears delaminated. The city Planning Board classified the special permit application as a Type II action under State Environmental Quality Review during the Jan. 8 meeting, meaning the project will not cause any significant environmental impact and will not require further review. 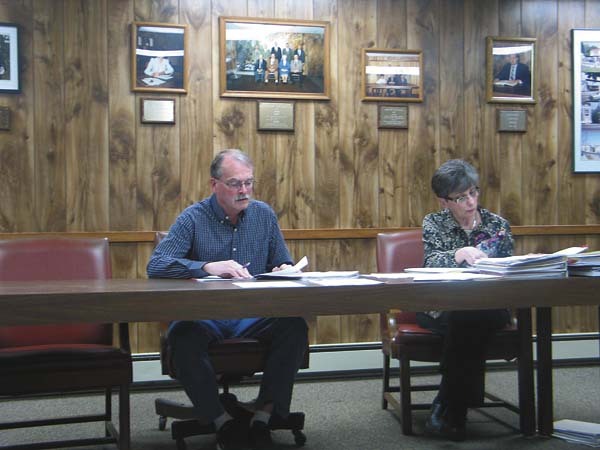 The board conducted a public hearing on the application on Tuesday, during which the only speaker was Michael Cranker of DM Romeyn Civil Engineering who restated to the board that their requests and concerns regarding the proposed business had been addressed. 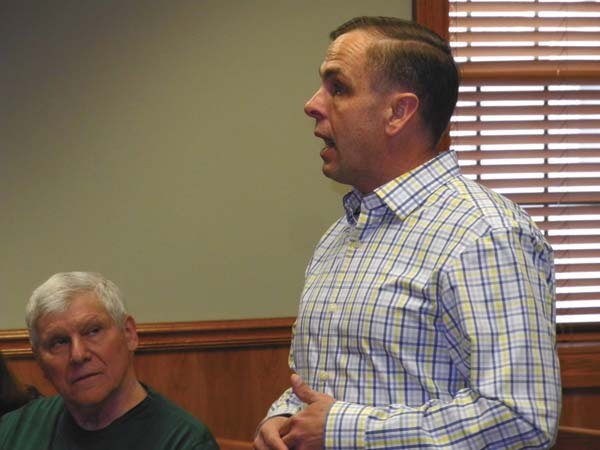 The board then closed the hearing and Fulton County Senior Planner Sean Geraghty noted for the record that the board received a letter from attorney Conor Brownell indicating that ownership of the building is currently under dispute. According to Geraghty, the board subsequently consulted City Attorney Anthony Casale who recommended that the board conduct the already scheduled public hearing before tabling final action. “He encouraged you guys to go ahead and conduct this hearing this evening and get the hearing behind you folks from an administrative standpoint, he also indicated that at this point in time you would be better served tabling final action on this thing until this property issue is resolved,” Geraghty said. The board then approved a motion tabling action on the special permit application for the proposed self storage business on Harrison Street.